Bad habits are easy to fall into when you’re running to catch up with life, like hitting snooze one too many times in the morning or ignoring the pile of crap on the dining room table instead of clearing it off to have a sit-down family dinner. Or grabbing a beer at the end of the day instead of water. Recently, my pitfall has been buying lunch instead of bringing it every day. The waste of money aside, it can also be hard to make healthy choices. Where I work, the only real options are the cafeteria downstairs and a small coffee shop/lunch counter that makes a mean stir fry. So, last weekend, I decided to plan ahead for the week to come and try something new. I’m on a pasta-free kick these days, so I hit the internet in search of an alternative and came up with quinoa salad. If it’s good enough for vegans, surely it’s healthy enough for me. 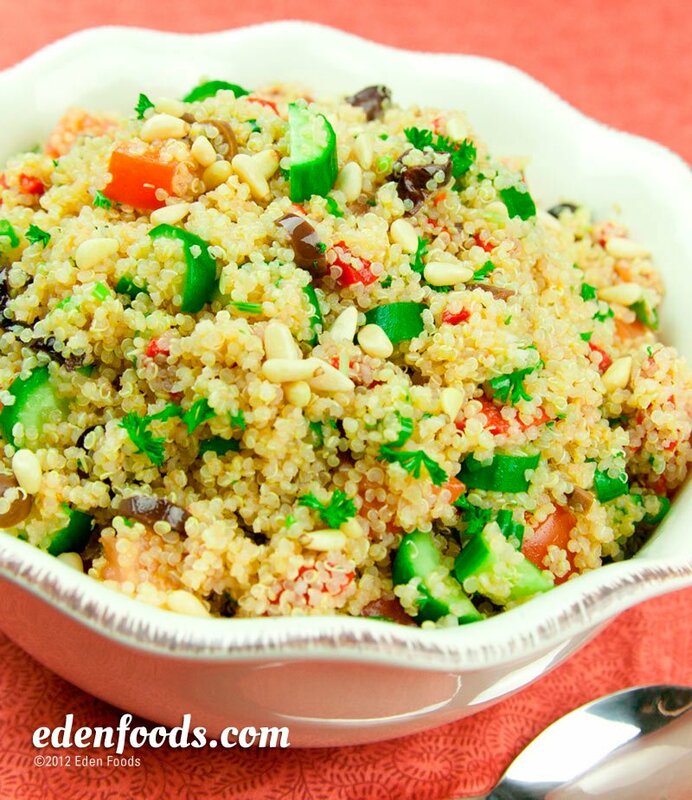 The veggies add a lovely crunch, and as a fan of barley, I also enjoyed the texture of the quinoa. But there was a slightly bitter after taste. My guess is that the oil-and-vinegar dressing didn’t carry enough flavour (or maybe my balsamic is past its prime). At any rate, the recipe yields a whack of salad (about 16 cups) and after all that work, I couldn’t take the thought of letting it rot in the fridge. So, I added an off-the-shelf artichoke and asiago yogurt dressing. Voila! Delicious salad that I couldn’t get enough of. Perhaps the dressing made it slightly less healthy, but I can live with that.